Have you ever heard of the cherry blossom in Japan? A quite big happening for Japanese people called Hanami. 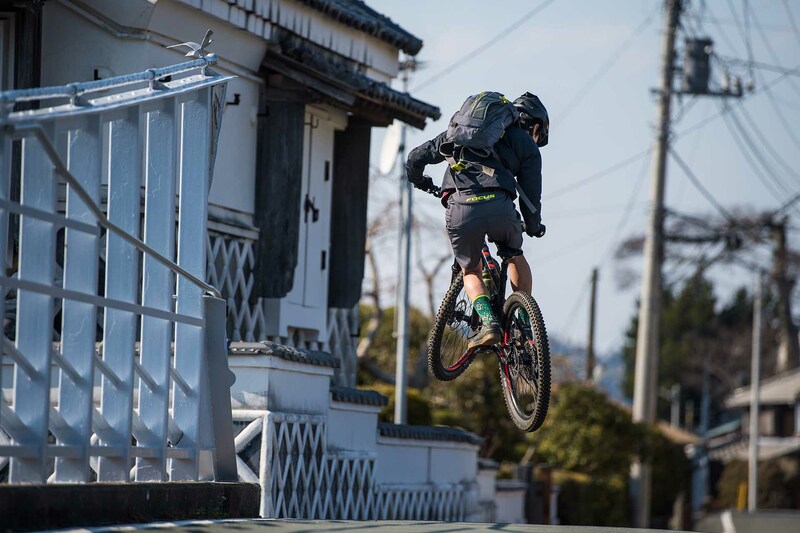 So we talked to our riders in Japan to tell us more about this event – and bring us to their favourite trails. Unfortunately on their chase for the cherries they were too fast for the blossom. 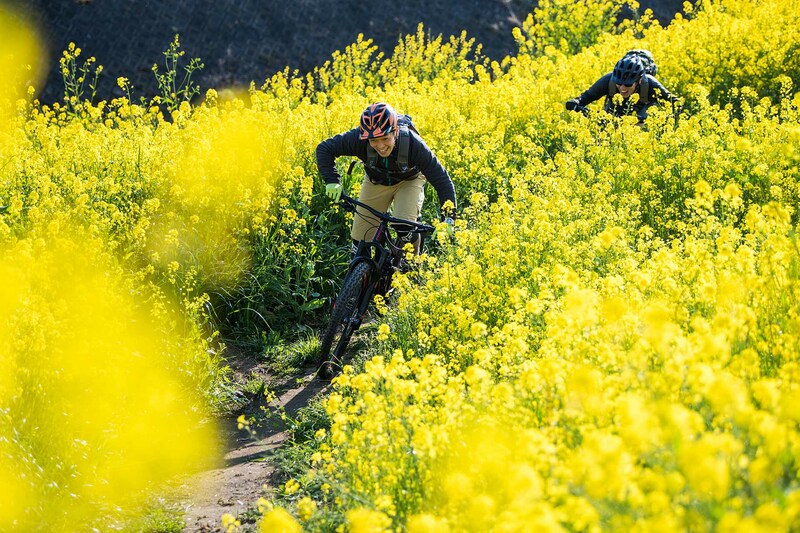 Anyways, the trails look great and still a few flowers showed up. 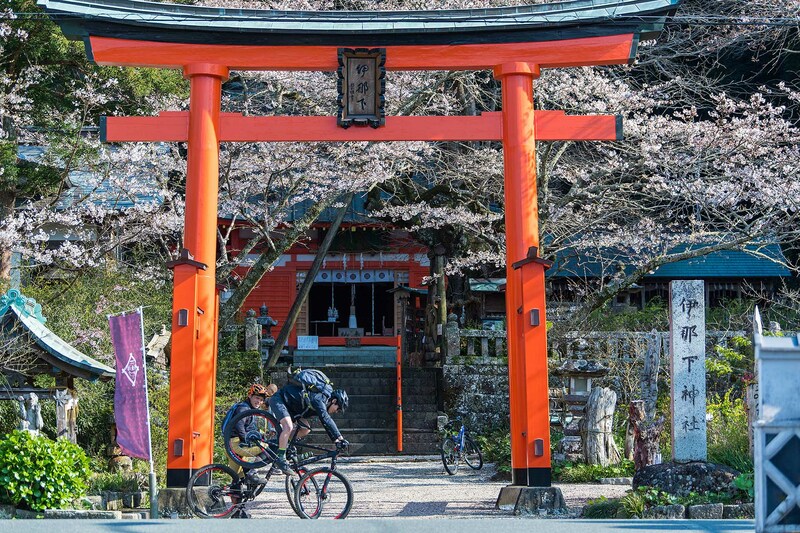 Cherry blossoms are one of the national flowers of Japan that grow wildly and have been planted everywhere. The cherry blossoms are at their best in full bloom in April. In Japan, everything starts in April, things such as the school year or the fiscal year. It is also a season for meeting and parting. That’s why the Japanese have a special place in their heart for the cherry blossoms. 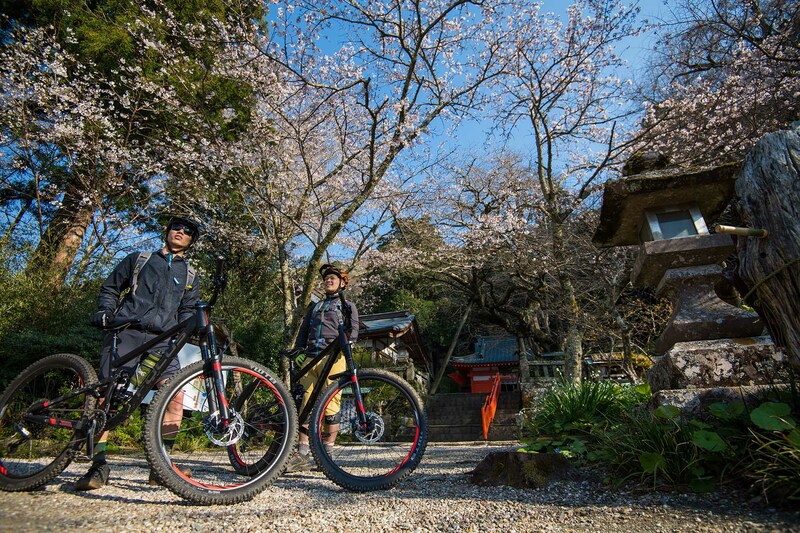 On April 3, choosing the right time for the cherry blossoms to be fully in bloom, Yujiro and I headed to the MTB guided tour called ”Yamabushi Trail Tour” in the Izu peninsula, Shizuoka. 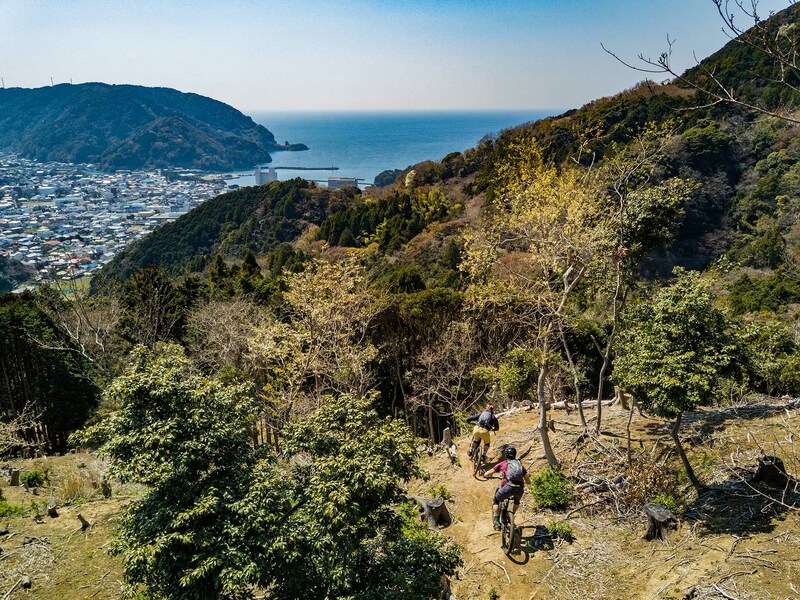 The Izu Peninsula is a great area where you can enjoy both the ocean and the mountains. The tour meeting place is at Matsuzaki harbor. From there, we shuttled up to the Kodo trail. 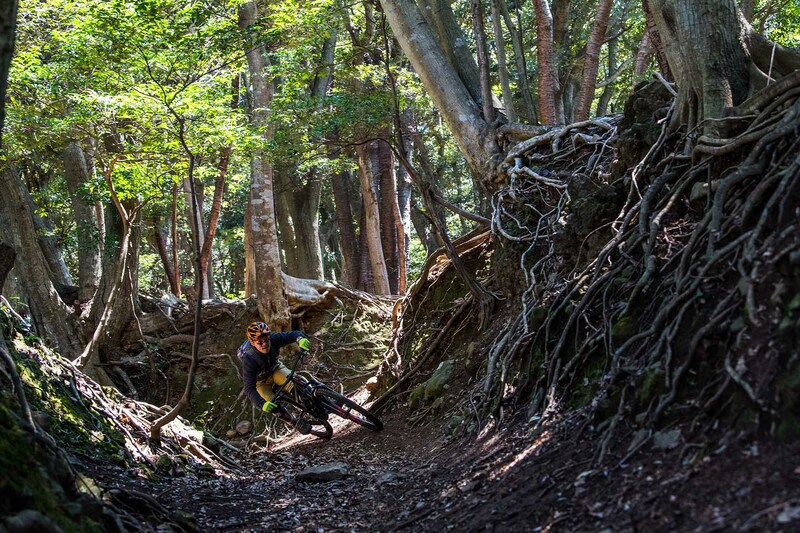 The tour name Yamabushi means "Mountain monk", and the trail nickname Kodo means "ancient". Could you guess the story? These trails were made and used by mountain monks about 1000 years ago. Even though it was very cold last week, today the sun was shining upon us at the trail as if it was welcoming us. The Kodo trails are ancient trails used for the transportation of charcoal and as a path through the mountains until 50 years ago. 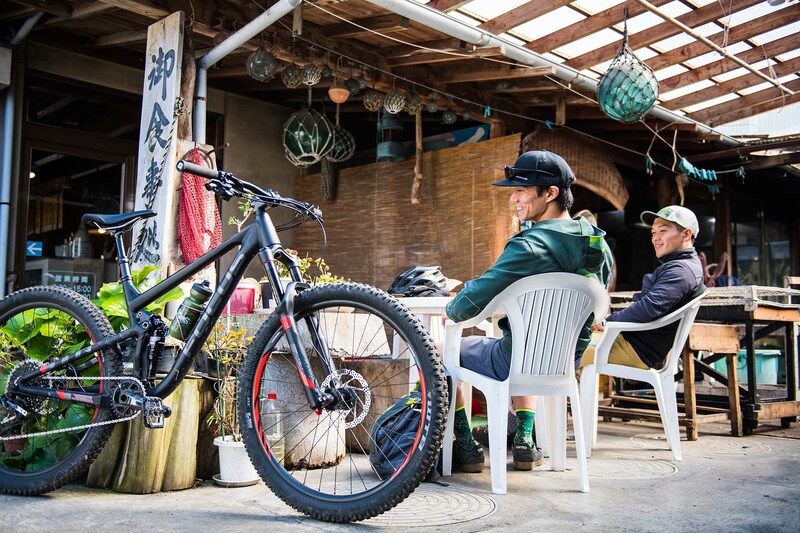 The modernization let the trail sleep for a while, until the trail masters of the Yamabushi Trail Tour dug them up to reinvent as a mountain bike trail. You can still see the traces of charcoal making in places, which were prosperous in the past. This statue is a “Hayagriva” which has the head of the horse and were, “worshiped as the guardian deity for horses”. Horses were the vehicle and partners of those who used to work in the mountains, so when a horse died, a Hayagriva was put up in memory of them. 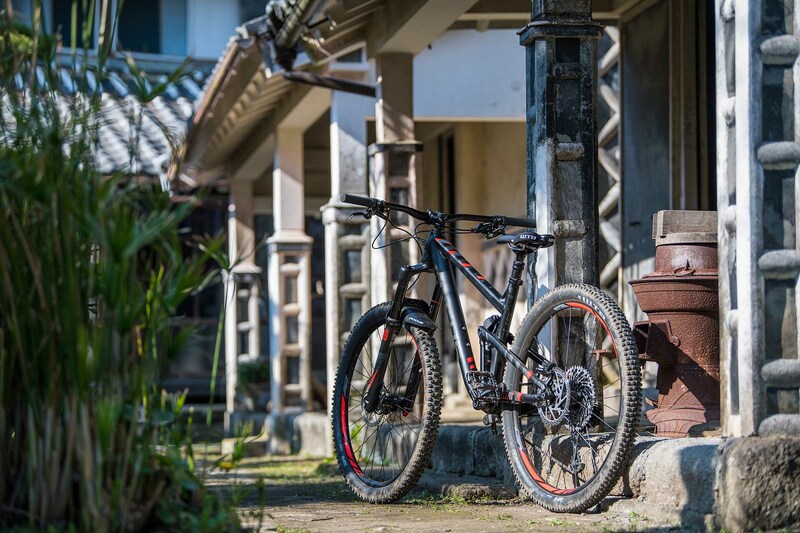 There are many different parts to discover at the Kodo trails. 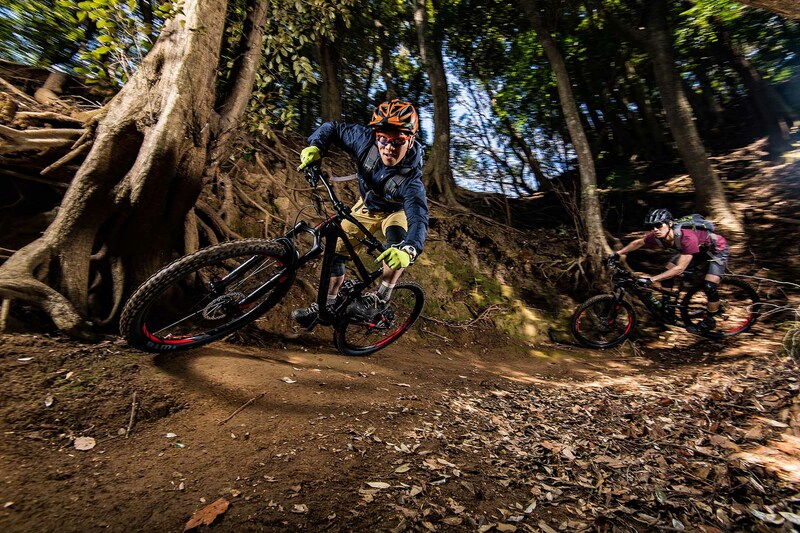 One thing are the natural half pipes which put smiles on every mountain biker’s face. It’s said that sleds created these half pipes by carrying charcoal through the area repeatedly over the years. 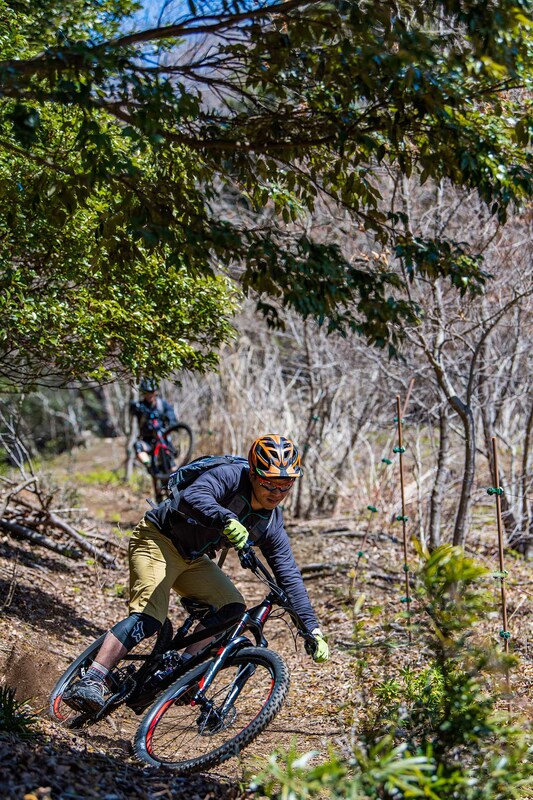 Back in the days, mountain monks, village people, horses, and sleds used these Kodo trails. Today, we, the mountain bikers use them. 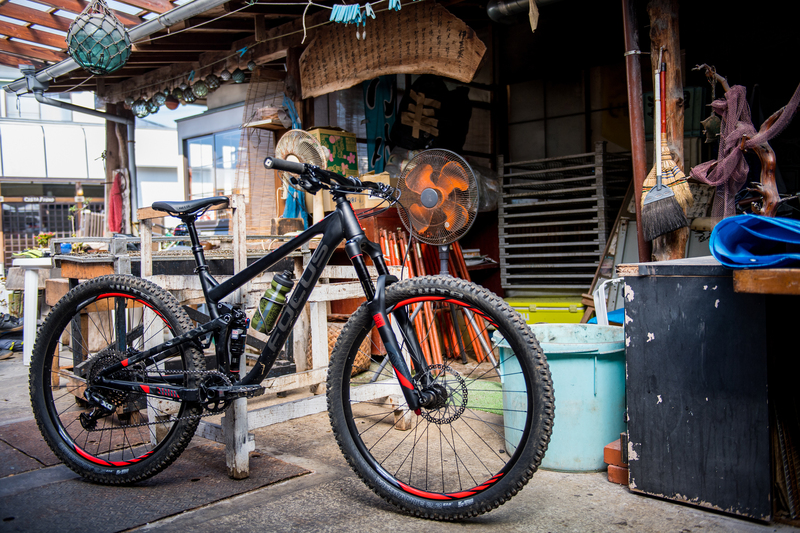 As you ride down the trail, you’ll start to see the ocean. 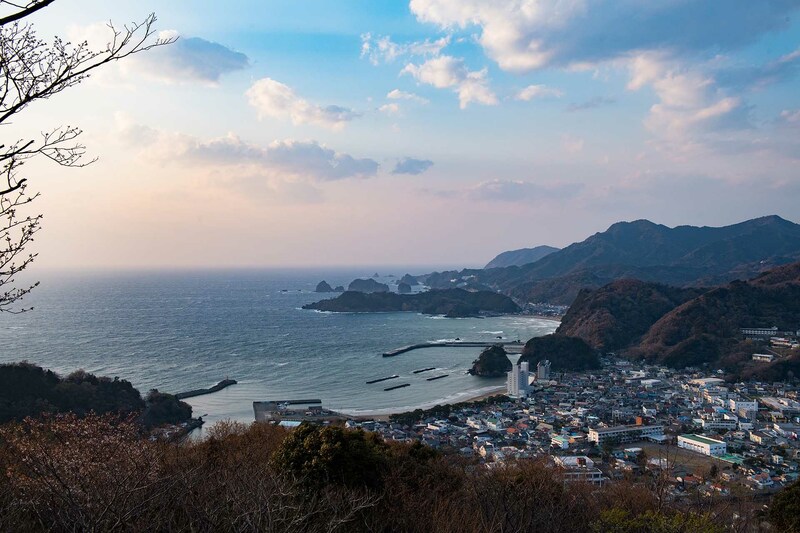 It’s a very unique and refreshing view of the Izu peninsula, where mountains and ocean are right next to each other. When we got to the harbor, we were also starving. 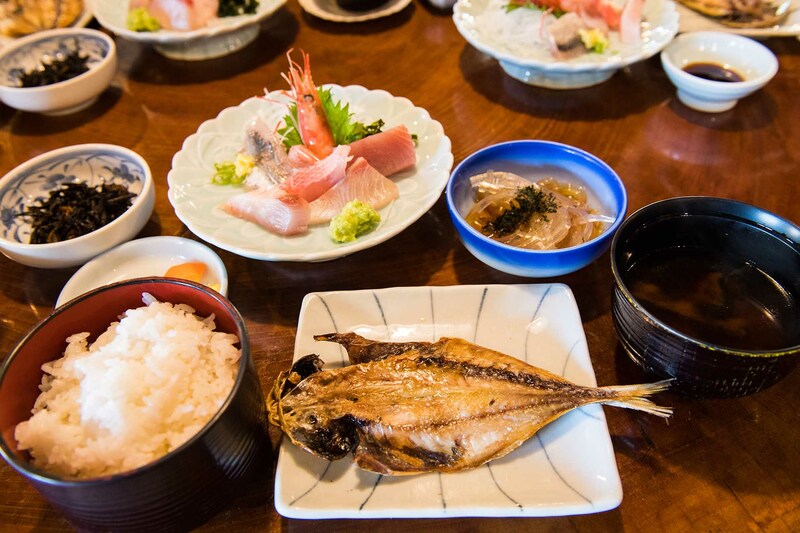 One thing you must eat when you visit here is the IZU seafood. Every fish dish is great here, and we especially liked the restaurant’s original dried mackerel. You have to try this dish! We decided to explore the town by bike because we came all the way here. 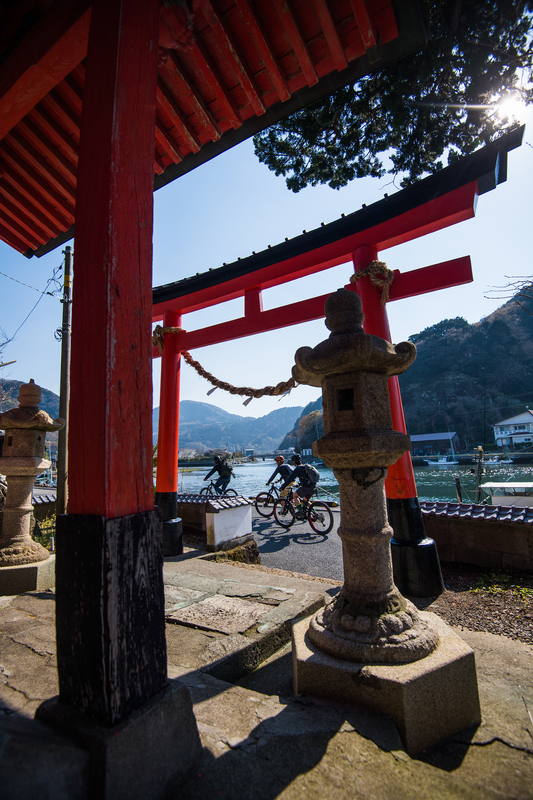 Matsuzaki was a fisher’s village and still is today. The great ocean spares its wealth, but at the same time, they seldom take away human happiness. 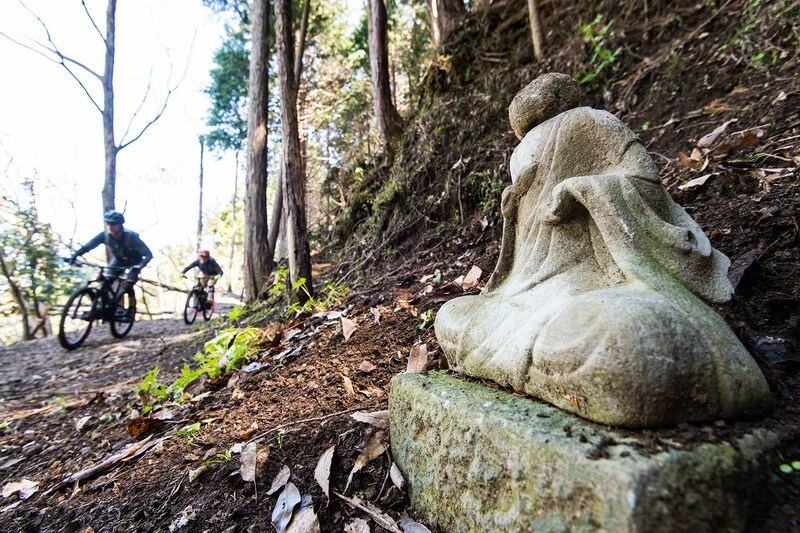 There are many shrines and temples in Matsuzaki, perhaps that is the main reason it continues to give today. The “Namako” or “sea cucumber”-wall is one of the most photogenic things in Matsuzaki. It is called this because the white part of the wall resembles sea cucumbers. The wall is made of roof tiles and plaster. It has moisture buffering effect, fire resistance, and high durability, and is often used for houses and warehouses. People built these walls as a sign of their wealth, building them to compete against one another.